The Remind messaging system will replace the current automated message program next week. Please join our school system to receive messages via text, email, or push notification (or any combination of these). You may have already joined your student’s class REMIND group, but you need to sign up for the school group as well. Join by text: Participants text this unique school code @threepeak to the Remind phone number, 81010. Join online: Visit remind.com/join and enter the school code @threepeak along with your mobile phone number. You will receive text notifications at the number you entered. Download the mobile app and create a new account (or log in if you already have one.) Join with the school code @threepeak. 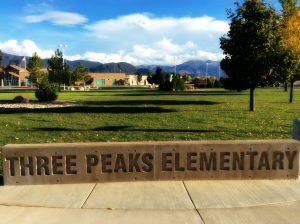 Join online: Visit remind.com/join and enter the school code @threepeak and your email address. Remind will send notices such as school holidays and closures, emergency messages, program dates and times, reminders for school pictures, etc. Those not signing up for this program will be unable to receive these reminders. Thank you for helping us connect with our families.